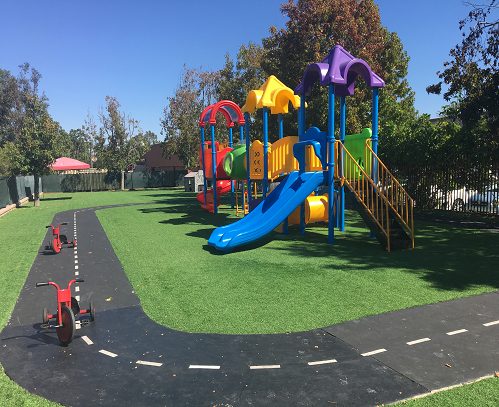 Marina View Preschool-Kindergarten is a beautiful state-of-the-art facility located in Laguna Niguel, CA. Established in 2001, we believe in nurturing the whole child - socially, emotionally and physically - through solid academic introduction balanced with a supportive and loving environment. This is our philosophy and one of the key features of our school. Our commitment to your child starts as early as 12 months with our Infants Program and goes through to Kindergarten. We will have them not only motivated to excel in elementary school but for the rest of their academic careers. We feel a high quality pre-school education is the precursor to high standards throughout their school years and in life in general. It can start children on the right path and allow them to feel confident and excited to learn. Call Marina View Preschool-Kindergarten today at (949) 243-7526 to learn more about our Programs and the enrollment process for the 2017-2018 school year! Schedule a visit today to learn more and get your child's education started on the right path! "I love this school! My son attended here for 3 years and I feel very confident he is completely prepared for 1st grade. The owners are such wonderful people as well as all the teachers. I can't believe what my son has learned in the kinder program! It's truly AMAZING. This is one of the best schools in South Orange County! We will miss Marina View!"